It’s time – your time - to conquer those feeling overwhelmed or giving into procrastination; it’s time you took control over the guilty feelings that lurk in when you can’t get more done in a day or answer all those emails. This is your time to reclaim your life. The truth is that you’re 100% in control of the solution: figuring what works best for you and your productivity style. When you start working smarter, not harder, you renew and refresh your relationship with time, your to-do list and your inbox. It is time to feel empowered both personally and professionally so that you’re ready and willing to respond instead of react. It's time to focus on the high value projects and people that not only drive revenue, but also spark happiness, meaning, and purpose in your life. Here’s the truth: Our lives are full, and the more engaged and involved we want to be in our work, our families or in our communities, the more people will need our valued time, energy, and attention. And you’ll want to give the right people, the right amount of time, energy, and attention. This is your time to prepare yourself and to get ahead of the busyness, so that you feel ready and able to reclaim your free time. It is time to conquer the busyness epidemic once and for all using proven strategies and tools that enable you to take back control of your time and recapture the happiness in your life. ③ One Size Does Not Fit All: What is Your Unique Productivity Style? Just like "one size fits all" t-shirts do not fit all, there is not just one productivity system that really works for everyone. As neuroscience continues to study the diversity in our cognitive thinking preferences, experts agree that productivity increases as individuals adopt smart strategies that support their natural left-brain or right-brain tendencies. So, what is your unique productivity style? Take the Productivity Style Assessment®, to identify your unique productivity style and learn strategies that are tailored to support the ways in which you naturally engage in your everyday workflow. It’s time to figure out what works best for you, so that you can start implementing strategies customized for you and the impact you want to make on the world. When you’re working in a way that honors you and your Productivity Style, you’re happier, less-stressed, and more able to make a difference in your world. You’re not alone when you realize that there’s unfinished work waiting for you; the average American worker has 37 hours of unfinished work on their desk. As nerve-wracking as that feels, freedom from workday stress is absolutely possible and easier to achieve than you ever could have imagined. By exploring your locus of control and examining how some of the stories you tell yourself are holding you back, you’ll be better able to manage your time, attention, energy, and impact at work. It’s time you achieved some professional peace, calm, and happiness; and it’s within reach with these five things you need to know now. 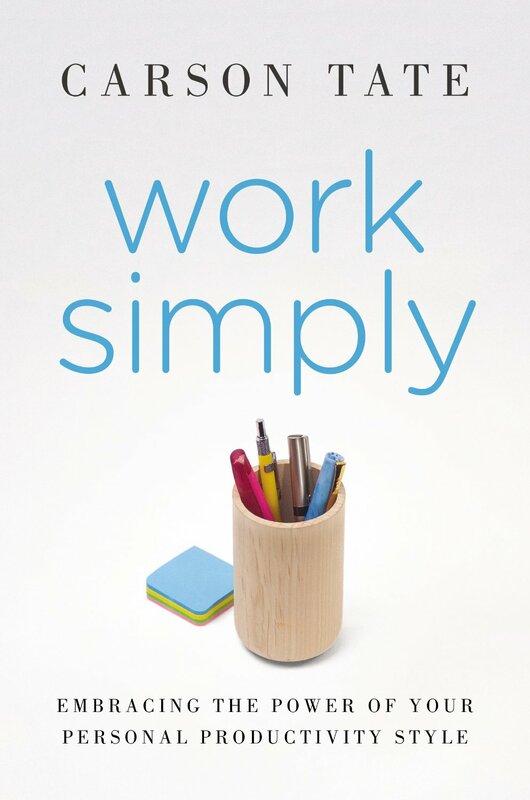 Carson Tate, author of WORK SIMPLY: Embracing the Power of Your Personal Productivity Style, is Founder and Principal of Working Simply, a management consulting firm whose mission is to bring productivity with passion back to the American workplace. She focuses on tailoring proven methods of improving employee productivity, engagement and overall time investment to her clients’ unique needs. 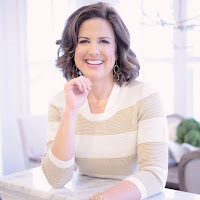 Carson also serves as a consultant, coach and trainer to executives at Fortune 500 companies including AbbVie, Coca-Cola Consolidated Bottling Company, Deloitte, Wells Fargo (multiple divisions of), Ryder System, Inc. and VF. Carson is a nationally renowned expert on workplace productivity, whose views have been included in top-tier business media including Bloomberg Businessweek, Forbes and Fast Company, and more, as well as in a guest column for the New York Times. In addition, Carson is lead trainer of the Working Simply Certified Coach program, which teaches individuals to employ Working Simply methods in their own consulting practices. The program includes the Productivity Style Assessment tool, which Carson developed based on Ned Herrmann’s concept of Whole Brain® thinking.